Filmed over a period of several years, this extraordinary, autobiographical documentary from debut director Bing Liu is a strikingly intimate coming-of-age story about three skateboarding friends whose lives are all touched, in different ways, by the issue of domestic abuse. The Chinese American Liu grew up in depression hit Rockford, Illinois, where he spent all his available time skateboarding with his two best friends – his cheerful African American pal Keire Johnson and laidback white dude Zack Mulligan. A keen filmmaker from an early age, Liu amassed hundreds of hours of skating footage, capturing the exhilaration of skating around the city, as well as the highs and lows of successful tricks and failed jumps. Liu himself only appears infrequently on camera, but Zack and Keire prove charismatic and engaging presences and their youthful camaraderie is extremely charming. All of a sudden, things begin to change. At 16, Zack finds himself thrust into adulthood when he gets his girlfriend Nina pregnant, then moves in with her. He tries his best, but their relationship becomes poisonous, their fights vicious and physical. At the same time, Keire loses his father and is left to grapple with the reality that the man he loved was also a violent disciplinarian – 'Well, they call it child abuse now,' he comments, ruefully. Camera still in hand, Liu's compassionate probing of his friends' experiences prompts him to confront the abuse in his own life and, in a devastating sequence, he interviews his mother, Mengyue, about his stepfather. Liu's journey of understanding is utterly compelling and often painful to watch. When a particular incident occurs in Zack and Nina's relationship, Liu is as shocked and heartbroken as the audience, but his love for his friend fuels his need to examine and comprehend Zack's behaviour and the results are both illuminating and powerfully emotional. 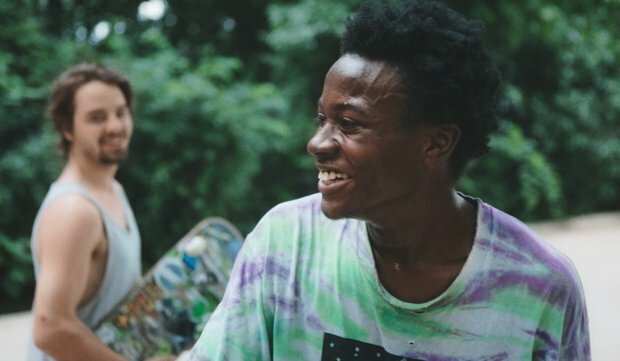 Skilfully edited, beautifully photographed and superbly scored, Liu's Oscar-nominated film gradually evolves from being a carefree portrait of skating teenagers into an achingly personal story with important things to say about race, class, alcoholism, toxic masculinity and the spiral of abuse. It's an essential, remarkable documentary that's sure to be one of the year's best. Don't miss it. Limited release from Fri 22 Mar.